The future of smart locks is not just a lock. 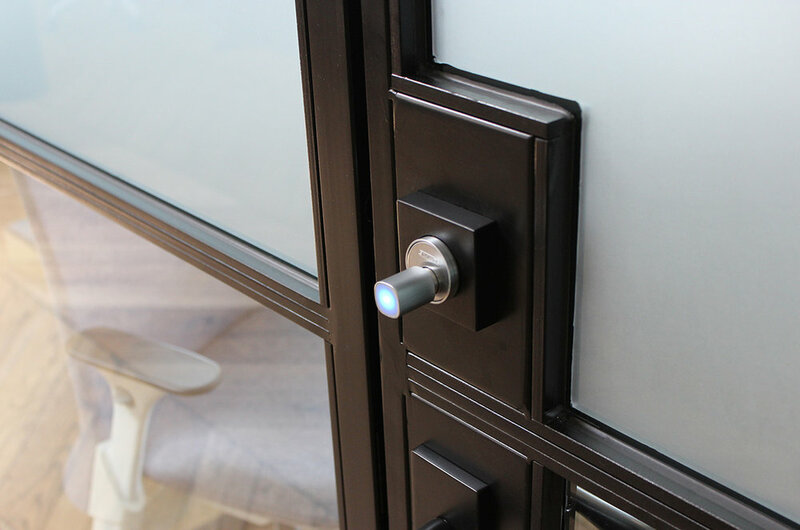 The Controller connects existing electric strikes and magnetic locks to the Nexkey platform, making it possible to unlock and secure any door via Bluetooth. Because the Nexkey Core can replace every mechanical lock cylinder, it works with main doors, meeting rooms, utility closets — even file cabinets. Better yet, it installs in minutes and the battery lasts for years. Nexkey works with any existing lock set and door hardware. Because Nexkey uses your existing wiring, installation is easy, fast, and affordable. You’ll feel right at home with Nexkey. There’s nothing to learn; it just works. Even if your door gets opened 100 times a day, your Nexkey battery will last longer than a year! Nexkey was built to work with everything from gates to garage doors in extreme conditions.